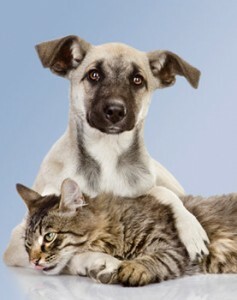 The VNA believes that patients and families, including our beloved pets, are the center of everything we do. Our patients’ goals for their own health, and the well being of their pets, is of paramount importance. We offer several supportive programs to ensure that while our patients are receiving the best possible healthcare, their pets are receiving the best possible care as well. Hospice patients can often benefit from interaction with animals. 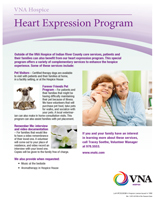 Through this program, VNA volunteers bring therapy dogs to visit with patients and their families while at home, in independent or assisted living facilities or at the VNA Hospice House. Due to their illnesses, hospice patients may need assistance caring for their pets. Through this program, VNA volunteers can provide assistance caring for pets by shopping for pet food and supplies and/or walking and playing with pets. If our hospice patients can no longer care for their pets, the VNA can connect families with the Humane Society of Vero Beach & Indian River County to arrange for long-term care through their Pet Guardian Program. To arrange for services or to volunteer for the VNA’s pet-related programs, click here or call us toll-free at 1-866-705-6681.